their awesome service from Reliant. Our prices are reasonable and our work is guaranteed. Reliant Computer Services is your first choice for any and all types of computer repair services! Come see our computer store inventory we have a huge selection of Laptops and desktops We are located in the Alamo Plaza right next to FedEx and Wing house in south Lakeland about four miles from downtown Lakeland, FL. Reliant provides a client-driven approach to laptop repair Lakeland FL or computer repair Lakeland, FL. Our expertise and assortment of Services cover all computer problems relating to PC and MAC. We have a friendly and patient customer care attitude. We inspect, diagnose, and fix the problem – permanently! Call us 863-588-1557 with any computer repair questions you might have. let us help you with our in-depth knowledge of information technology products and solutions from motherboards to laptops, hard-drives to webcams and everything in-between, we are a one-stop shop for all of your computer needs. If you want a hardware upgrade or new software, contact our friendly team, we’re ready to help you. We now offer computer repair in North & South Lakeland, FL & Polk County Florida. Get Help Now! Why Choose Reliant Computer services? Our Computer repair Associates Can Answer Questions. Q? What kind of computer repair work do you offer in Lakeland FL? A. That’s a good question. It’s probably better to ask us what we don’t do. We repair a lot of computer problems, from the simple virus removal to changing the backlight on your laptop. It’s never an issue, and it never will cost you a small fortune. Q? Are you able to complete computer repairs the same day? A. Yes, most of the time our repairs can be done same day. However, if there are problems with hardware or a part needs to be ordered there might be a delay. If there is, we certainly follow up will let you know. Q? Are you in Lakeland, FL? A. 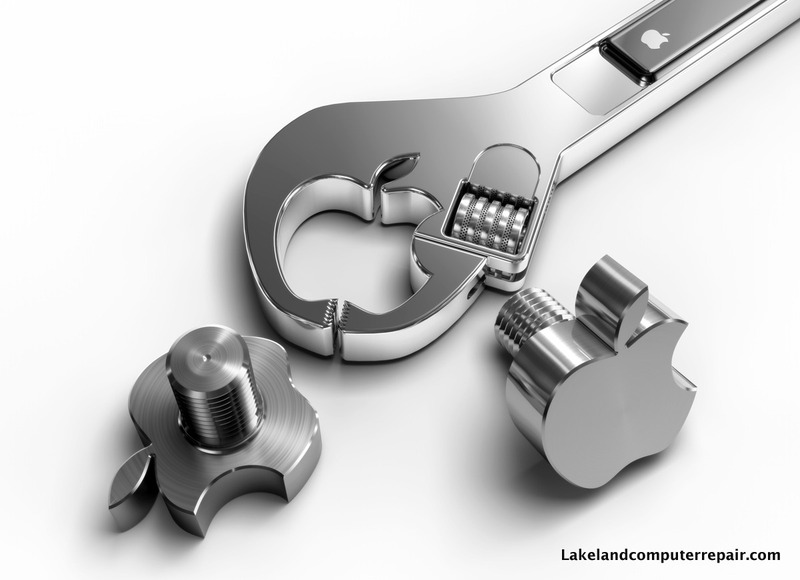 Yes, we offer computer repair / Apple repair in Lakeland, FL and Polk County surrounding areas. Q? 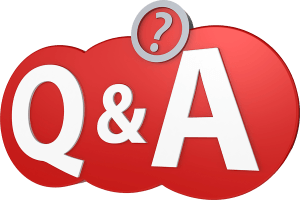 Do you fix iPhone iPads and other Apple devices? A. Yes, we repair iPhones every day Just stop in or call us. All of our parts have a two-year warranty, and our prices are typically 30 -50 % less than our competitors’ prices, so you’re sure to save money. You could also check our iPhone service page and Facebook for more details.? Q? How much is this computer repair going to cost me? A. Not as much as you might think because most of our computer repairs are carried out in our Lakeland, FL workshop and not in your average high street shop. Our prices are low, and any new parts you might need are sourced at the lowest price possible. We will not only let you know the price before we carry out any work, but we will also be sure to give you your old parts back. Q? OK, you can repair my computer! What now? Q? Do you Sell computers / Laptops? A. 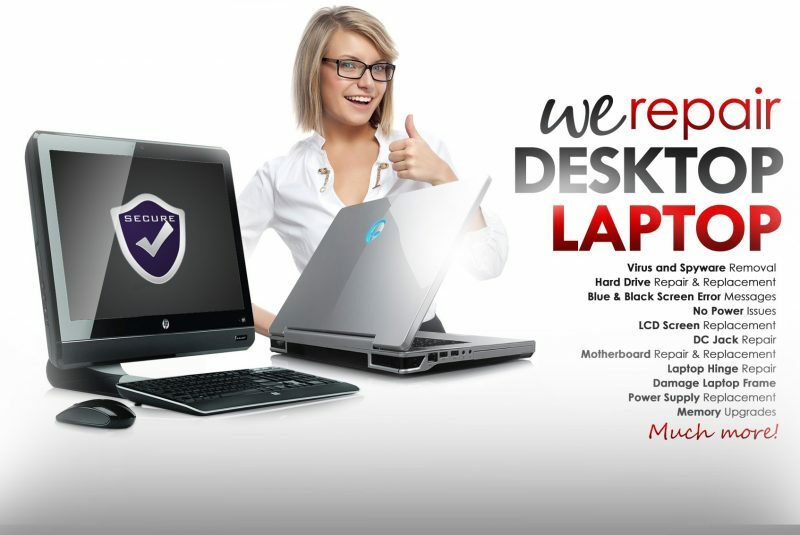 Yes, we sell all kinds of Desktops and Laptops day Just stop in or call us. All of our laptops have a 1-year warranty, and and we match or beat our competitors’ prices. NEED TO UPGRADE YOUR CURRENT COMPUTER? 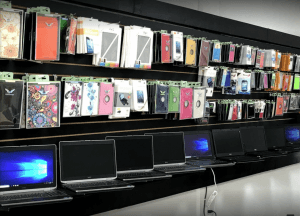 We also sell new and used laptops and desktop computers at smoking pricing – and they come with a great warranty. Drop in and see the great deals just waiting for you! 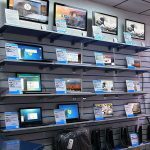 We offer a full range of computers laptops and desktops for sale or trade. We will also buy your old computer -parts- laptops -phone and any other electronics that you no longer need. we have the largest selection of computers / Mac in Polk county and offer a one-year warranty on all our desktop computers including laptops stop in and save. Ever been to the apple store??? Be prepared the spend the whole day if you do decide to go, or you could let us fix your apple with no long wait or outlandish pricing. We also handle everything Apple, including iPhones, iPads, MacBook, MacBook Air and more Bring them in for service and repair by our highly-skilled and friendly staff and save yourself time and money, so you don’t have to buy a new one. 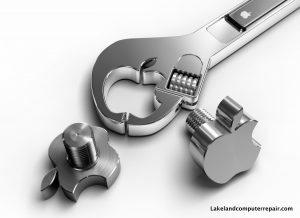 We offer Apple repair Lakeland FL Whether we provide you with a software upgrade, a locked keypad, a replacement for a cracked screen for an iPhone, or something more drastic, we have the competence and ability to get your Apple device back up and running with minimal fuss, and with the least delay and inconvenience to you. At Reliant Computer Services, we appreciate your recommendation, as we understand that word-of-mouth is the finest advertising one can earn. Our most significant reward is to see a satisfied customer. We know that your computer, laptop, netbook, or Mac is essential to you, so it’s our goal to get your device up and running as quickly as possible. We are committed to providing the highest quality computer repair in Lakeland, and we also guarantee our work, so you don’t have to worry about any surprises after the job. Reliant computer services are located at 4525 S Florida Ave #36, Lakeland, FL 33813, and we open at 10:30 am and close at 7:00 pm, six days a week. So you will usually find us in when you are in the greatest need for computer repair services. It’s difficult out in the real world for students, and we understand. Educational costs are soaring, loan debts are growing, and odds are, you barely have a couple of pennies to rub together. We empathize with that, so we offer discounts of 25% to our students in Lakeland, FL. If you go to school in Polk County and have a student ID, then you’re in luck! Stop in and show us your ID when you come to get your computer repaired, and voila! You knock a huge chunk off your bill, yes, it’s that simple! We also extend this offer to all our teachers. Reliant has been repairing computers for over a decade. Service you can trust! Reliant computer services offer computer repair in Lakeland FL, We have been repairing and supporting the Lakeland community for 15 years; we pride ourselves on the wide range of services that we offer to both the individual computer user and small business owner, alike, as to meet each person’s individual needs.The personal computer user might want advice on wireless networking and anti-virus software, or even virus removal, whereas the small business user is more likely to be interested in the IT Project Management and Computer Maintenance contracts. We offer both, and are here to serve! For our home-based clients, our computer technicians are ready and waiting to take on your computer related needs. We also offer our computer services at the customer’s home, so you don’t even have to hassle bringing your PC or Mac to our shop! We know how frustrating it can be to install a new peripheral, so whether your needs include new software, a printer, or something more, such as a RAM upgrade, we know to make it simple and stress-free for you. Reliant Computer Services’ skilled personnel will be able to have your device up and running smoothly in no time. Small business support is our passion. Starting at just $29.99/month* Per Computer, Looking for peace of mind with American based technical support, we are available 356-days a year are you to rely upon for your computer and other devices such as printers, routers, switches and more. Are monthly support offers fast diagnosis and resolution of all computer problems including virus removal, Back up, Networking Firewall computer repair and more. This service is being provided as a monthly and annual subscription plans. Our computer professionals in Lakeland, understand the needs and demands of small business and can meet them head-on. We offer a range of computer services aimed at getting your system up and running, and to keep it in tip-top condition. 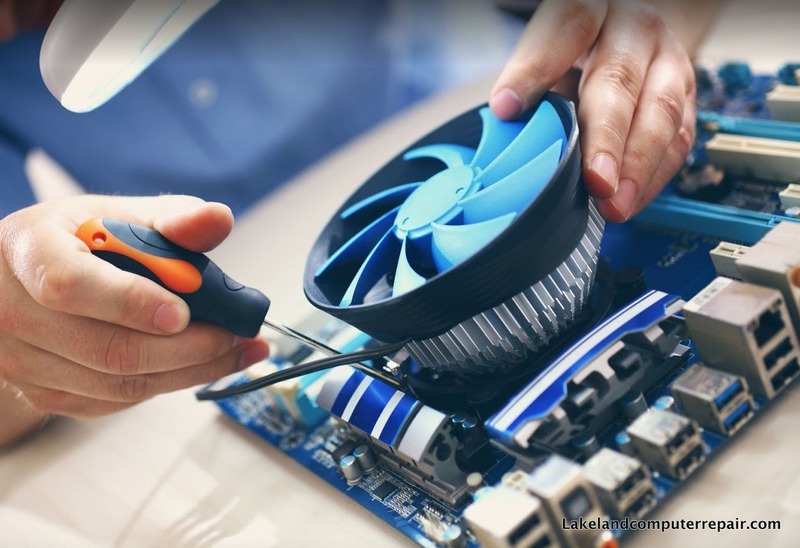 We have specialist staff keen to assist you with your day-to-day requirements, and, as well, to assist you in planning routine maintenance and future upgrades to your computer systems. Our support ticket system means your computer issue will be logged and dealt with most expediently, keeping downtime to a minimum! We offer a live support chat, operated by qualified staff, to cover computer problems that have to be dealt with as a matter of urgency. If you would like to request a service call or repair, please use our application form. All the technicians at Reliant Computer Services are Microsoft-certified so that you can be confident you are getting the best service at the best price from people who know their profession. Whether we provide you on-site engineering, AD, MS-Exchange, SQL support or help-desk queries, we aim to give you a fast, same-day service. 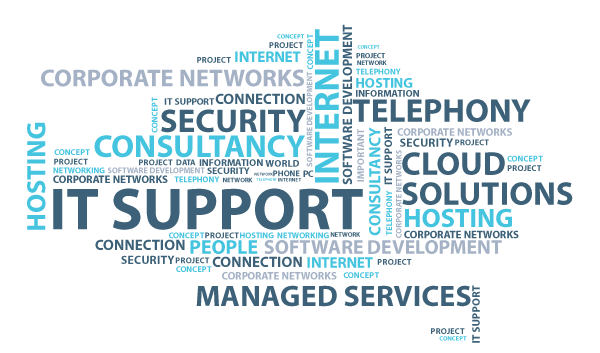 Wireless or wired network support. We know how much of a problem it can be when your computer doesn’t do what you need it too. 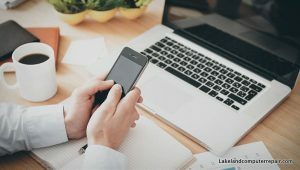 Whether it won’t run or load the new software you need, or your network keeps dropping out, computer problems reduce your productivity and are incredibly frustrating. This is why you need professional IT Support services.Luckily, our trained technical staff members are ready and able to help you get back to maximum performance in no time at all. Operating from offices in the center of Lakeland, our support personnel have extensive experience in computer fault-finding and IT analysis. Our experts will identify and rectify your computer’s issues, and in many cases, they can do it while you wait. In addition to general IT support and fault-finding, our experts can assist you with everyday issues from ensuring back-ups of your data are performed correctly for routine maintenance. Having us deal with your computer issues guarantees satisfaction and peace of mind. Our business is to make sure that your business can operate at all times, and it is our pleasure to serve all of your computing needs. We are confident that once you have tried our efficient and prompt services, you will never want another computer repair contractor. Why not visit us at our office in Lakeland, FL to discuss your requirements? From our business office in Lakeland, were able to offer IT support and services to customers throughout the Winter Haven, Haines City and Bartow areas of Florida. From our central location, we can react quickly and efficiently to whatever issues are affecting your computer, network or peripheral device. Reliant aims to ensure your complete satisfaction with our services and to see you return as a customer whenever you need help or advice. We pride ourselves on our promptness and efficiency so we can get you back up and be running when you need it most! When you need your device repaired you can count on Reliant.